MANILA, Philippines—Filipino-Australian Edith Gapas-Dome neither drives a hybrid car nor shops exclusively at natural food and beauty stores. And she doesn’t lose sleep worrying about climate change. But she is showing the way on how to go green in the house that is taking shape in her hometown of Bulusan, Sorsogon. Her planned house would make that passionate environmentalist Al Gore proud. To name a few of the house’s earth-friendly features, the roof will be made of PVC instead of the usual corrugated GI sheets, the concrete walls will have polystyrene (styrofoam) in the middle, and the rooms will be decked out with nontoxic paint. Even the appliances that will be bought are rated to use less electricity, and the bathroom and kitchen fixtures that will be installed are designed to use less water. “My husband and I weren’t planning to go green when we decided to build some sort of a retirement house in Bulusan. But when our architect described the benefits—lower electricity and water bills, better indoor-air quality, plus the fact that we will not be spending a lot of money—we agreed that it would be worth it,” Dome said. Dome will be the first in the Philippines to benefit from the LuzViMinda Eco-House project that ModernA launched a few months ago. ModernA is a small but dedicated group of architects that promotes energy-efficient and environmentally sound housing designs for middle-income Filipino home buyers. Its first project is LuzViMinda Eco-House, which will build relatively inexpensive houses with a low adverse impact on the environment. “It’s not easy to buy or build an affordable eco-house here in the Philippines. A lot of home buyers here think that green architecture has a price premium and that it’s only for people who can afford it,” explained architect James Jao, who conceived and co-founded ModernA. 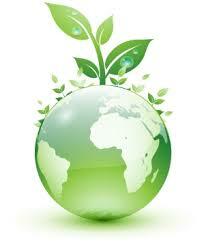 “The need for eco-friendly house designs is becoming increasingly urgent. Sadly, this issue has to take a back seat here in the Philippines, where a lot of Filipinos are homeless or living in substandard housing,” he lamented. But Jao, who completed a bachelor’s degree in architecture at the University of Santo Tomas and a master’s degree in city design and social science at the London School of Economics and Political Science, believes that the LuzViMinda Eco-House project will prove that a middle-income Filipino family can afford to enjoy sustainable living. To drive home this point, Jao’s team built a mock eco-house and displayed it during the recent Manila Construction Show 2008 held at the SMX Convention Center in the SM Mall of Asia Complex in Pasay City. According to Jao, the 121-square-meter house (with a 33-square-meter garage and a 20-square-meter loft) serves as a blueprint of Dome’s future house—25 percent more energy-efficient, cheaper to build, and, best of all, constructed in accordance with the strict and world-renowned building regulation standards of the United Kingdom. Dome said part of the agreement with ModernA was to open her eco-house to the public on certain days for viewing. He added that another eco-house was being planned in Cebu. The way Jao explained it, a LuzViMinda Eco-House utilizes forward-thinking green strategies that promote energy efficiency, conservation and quality of life while taking advantage of the economic benefits of green architecture to keep living costs down. For example, the PVC roof can reflect 90 percent of the sun’s heat, keeping the house’s interior cool even during the summer months. The concrete walls with styrofoam filling are not only lightweight and thinner than the hollow-blocks-and-cement combination but are also more durable and provide a more effective barrier to external heat and noise. Jao is adding a filtration system to allow the use of rainwater for cleaning or watering plants. For lighting, a solar panel will be installed, as well as energy-saving lamps positioned throughout the house. This setup, Jao said, could provide monthly savings of P1,200 on electricity. All the materials used in the mockup and in the house being built in Bulusan are available locally, Jao said. For a green guide, Jao consulted England’s Code for Sustainable Homes but made some revisions to make it appropriate for the Philippines. The code works by awarding new homes a star rating from one to six, based on their performance against nine sustainability standards—energy and carbon dioxide emissions, water, materials, surface water runoff, waste, pollution, health and well-being, management, and ecology. On top of everything else, the LuzViMinda Eco-House project is very flexible in terms of design and materials, Jao said.